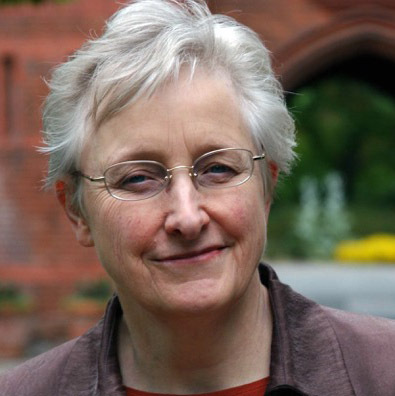 Marilyn Strathern will present the Foerster lecture on Tuesday, April 17, 2018 titled "Souls in Other Selves, and the Immortality of the Body." The lecture is free and open to the public. No tickets are required. Professor Stratherns comparative research in Melanesia, and the reflections on Euro-American culture it prompts, is fueled by an abiding interest in gender and kinship. Within the discipline she is best known for The Gender of the Gift (first drafted while a visiting scholar at Berkeley), an anthropological-feminist discourse on the individual and society, and outside the discipline for her writings on audit cultures and regimes of accountability. Her theoretical work is associated with a critical approach to relationality, and she is at present working on a book simply called Relations. A prolific author, Professor Strathern has published 15 books and a multitude of book chapters and articles in peer-reviewed academic journals over the past four decades. Among her most notable works are Women in Between. Female Roles in a Male World (1971), now regarded as a classic ethnographic text, and her highly influential The Gender of the Gift (1988), which she describes as a gentle deconstruction of gender relations in New Guinea and anthropological theories of society in general. She has actively lectured around the world since 1980. Sometimes the soul seems a more precise concept than the body. This lecture goes to a place and time where all kinds of beings (including food plants) have souls and where the bodily basis of life is immortalized through cloning. It comments on the way present-day anthropology brings fresh illumination to what we thought we knew.